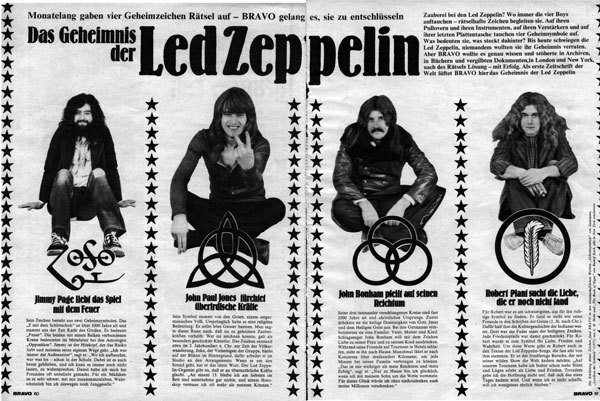 From The Stones and The Beatles right through to Black Sabbath and Led Zeppelin, rock and heavy metal music has enjoyed a long and enduring fascination with the occult. From the time when Delta blues pioneer, Mr Robert Johnson supposedly sold his soul to the Devil himself at the Crossroads, rock & roll in its many forms has mostly been injected with a dark and subversive twist - on occasion, even when it's been presented in bubbly packaging. 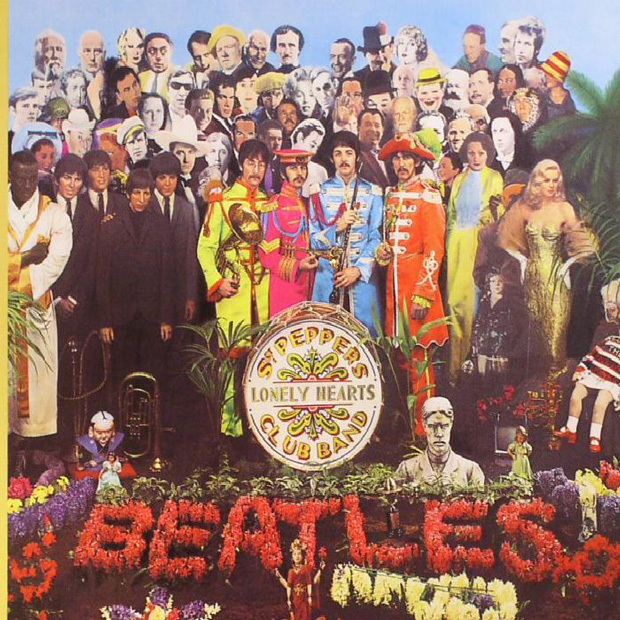 Perhaps one of the first documented (and particularly subtle) references to the occult in the popular rock music sphere came in the form of The Beatles' iconic album cover for 'Sgt. Pepper'. 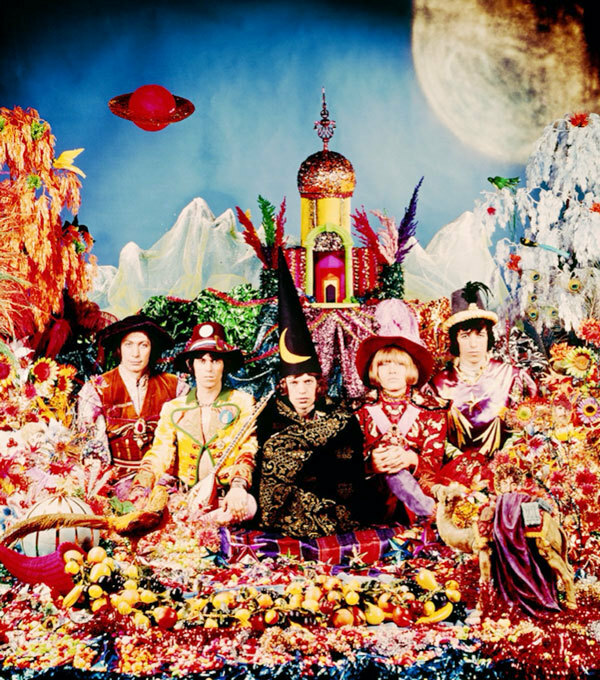 The eye-catching and kaleidoscopic collage of the mop-headed quartet, accompanied by cardboard cutouts of notable figures including Marlon Brando, Bob Dylan and Marilyn Monroe is still revered today as one of the greatest ever pieces of music artwork, but did you know it has a tenuous yet influential tie to the occult? Mr Crowley was an author, seminal underworld figure and one of the world's most controversial ever occultists, having written 'Do What Thou Wilt', a book that sparked the interest of many artists and musicians, including The Beatles, as well as The Rolling Stones, who symbolised their lust for occult ideologies by writing and releasing none other than the LP, 'Their Satanic Majesties Request' in 1967. During this rough time period, prolific session guitarist, former Yardbirds member and Led Zeppelin founder, Jimmy Page began to explore his personal fascination with the occult, having been particularly enamoured with the works of Aleister Crowley. Throughout the band's career, Page weaved his love for the occult into his art with dark-edged album sleeve imagery, an influence on Robert Plant's deep fantasy-based lyrics and his dramatic guitar work. In fact, Page's relationship with the occult ran so deep (far deeper than that of his fellow bandmates) that he's been a lifelong collector of occult artefacts, rare occult book pressings, and the album 'Led Zeppelin III' was even pressed with Crowley’s adjurations 'Do what thou wilt / Shall Be the Whole of Law' on the runoff tracks, rather than the typical serial numbers. From these early rock & roll occult advocates, including those mentioned as well as the likes of KISS (more of a parody than anything else) and The Blue Oyster Cult, a host of rock bands that regularly like to walk on the wild side have emerged - maintaining rock's subversive, controversial and stomach-churning edge with the dawning of each new decade. Those such as Uncle Acid, Ghost, Kadavar, Burning Saviours and Jex Thoth are all flying the occult-themed flag in the rock music spectrum today, and as time continues, we're excited to see what satanic offerings lurk around the corner. At its core, the occult stood for, regarding its rock & roll affiliation, self-expression and self-gratification: a healthy and liberating pursuit of one’s most profound will and desires against the soulless expectations of authority. And when you think about it, whatever silo of rock music you travel down, each subgenre, from psychedelia to heavy metal, and beyond, each is about standing up, being counted, opening your mind above what lies before you and pursuing an outlet that frees you, if only momentarily, from the shackles of everyday authoritarian oppression. Rock's fascination with the occult rolls on with force, keeping its ideals alive - and if you have a love for the Devil and the dark side, there is no end of LPs for you to explore - so enjoy. The 10 Worst Bands Of the 90's!